Stone’s story rings true. I’ve seen many show farmers over the years. I recall one such farmer in Chuquisaca, Bolivia, years ago, that I visited for a project evaluation. He had a small barn, built with wood, cement and other hardware donated by a well-funded project. At the time I doubted if rural people would make these livestock shelters on their own, because the materials were expensive and had to be trucked in from town. The farmer clearly liked his barn, and was happy to spend time answering my questions. Perhaps he saw my visit as part of his payment for getting a valuable structure. The same NGO that built the barn in Chuquisaca was also encouraging people to establish group gardens with imported vegetable seed. The project encouraged the villagers to plant lettuce and carrots, ostensibly because local people were eating no vegetables. The solutions offered to the farmers transferred the model of a backyard garden from suburban USA to the sandstone canyons of Chuquisaca. But, unnoticed by the project, the farm families had been growing nutritious vegetables all along. They had patches of chilli and they grew squash between their rows of maize. Both of these vegetables were stored and available during the off-season. As a benefit of living in Bolivia, and working on a lot of projects, I have been able to go back to this part of Chuquisaca several times. As I have returned to the area over the years, I have always been curious about the vegetables and looked to see if they caught on. Once I saw a single row of cabbage as a dividing line in a field planted half in maize and half in potatoes, but this never caught on. I also saw a family growing a few lettuce plants in the moist soil near their outdoor water faucet. For some years a few families kept their sheep and goats inside the chicken-wire fences the NGOs built had built around the old gardens, but the backyard vegetable garden died out and the Chuquisaqueños continued to grow chilli and squash. But some innovations do keep going even after the outsiders leave. For example, in the 2000s, researchers at ICRISAT (International Crops Research Institute for the Semi-Arid Tropics) in Mali created simple techniques for controlling Striga, the parasitic weed. Over several years, ICRISAT taught ideas like crop rotation and organic fertilizer in farmer field schools from Mali to Tanzania. In 2010 they invited Paul Van Mele and Agro-Insight to make videos with some of the farmer field school graduates. These were not show farmers; they hadn’t just copied what they learned at the FFS, but had adapted the ideas to suit their own conditions. Years after learning about these innovations, farmers were still using them. 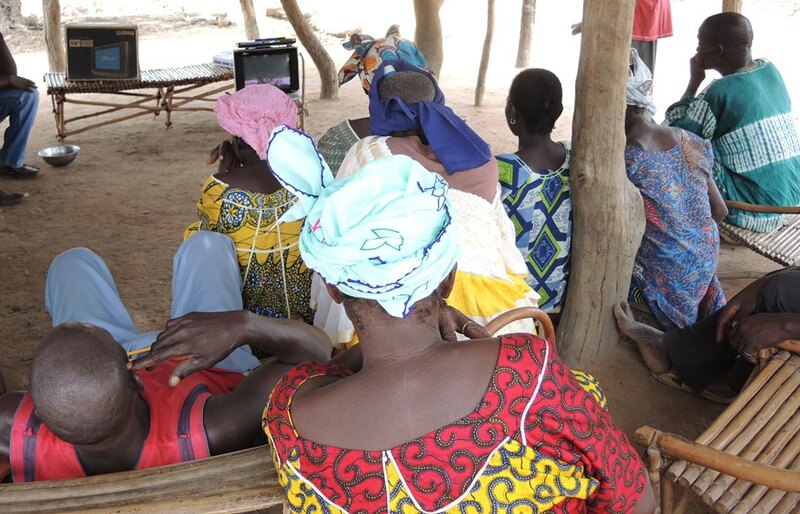 Later, ICRISAT and others showed the Striga videos to thousands of farmers. In 2013 and 2014 I visited farmers who had not participated in the farmer field schools, but had seen the videos. They were still experimenting with control methods, years after watching the videos. They did this on their own, without project support, for example inventing new ways to intercrop legumes and cereals. Women who had seen the videos banded together in groups to pull Striga weeds for other farmers, for a fee. Show farmers give time and labor to a project, and often loan a bit of land. In return, the show farmer usually receives some goods, such as a bit of seed, but they also get a chance to learn new ideas, which is a motivation for some farmers. And sometimes these new ideas do mature enough to become practical solutions to real problems, especially when the farmers engage with competent agricultural scientists. Even so, it may take years of research and adaptation to make the innovations affordable, practical and functional. Such ideas are too good for a show; they can be made into a 15-minute video of the real. 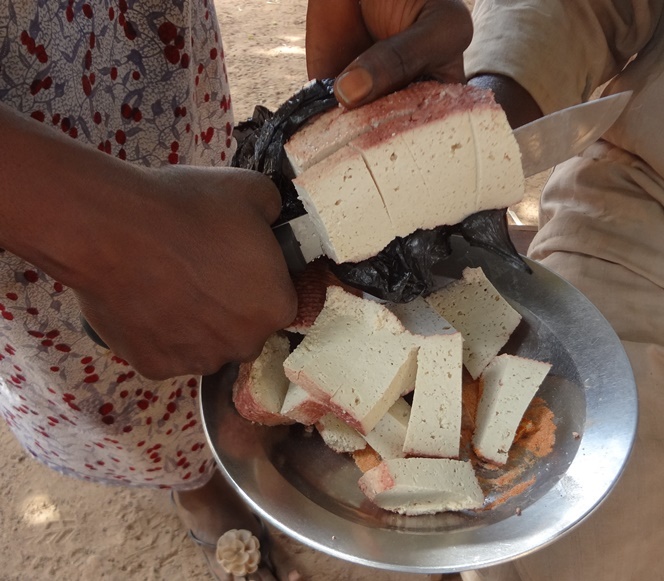 Bentley, Jeffery, Paul Van Mele, Sidi Touré, Tom van Mourik, Samuel Guindo and Gérard Zoundji 2017 “Seeds of the devil weed: Local Knowledge and Learning from Videos in Mali,” pp 75-85. In Paul Sillitoe (Ed.) Indigenous Knowledge: Enhancing its Contribution to Natural Resources Management. Wallingford, UK: CAB International. 227 pp. Bolivian agronomist Genaro Aroni first told me how quinoa was destroying the southwest Bolivian landscape some 10 years ago, when he came to Cochabamba for a writing class I was teaching. Ever since then I wanted to see for myself how a healthy and fashionable Andean grain was eating up the landscape in its native country. I recently got my chance, when Paul and Marcella and I were making videos for Agro-Insight. Together with Milton Villca, an agronomist from Proinpa, we met Genaro in Uyuni, near the famous salt flats of Bolivia. Genaro, who is about to turn 70, but looks like he is 55, told us that he had worked with quinoa for 41 years, and had witnessed the dramatic change from mundane local staple to global health food. He began explaining what had happened. When Genaro was a kid, growing up in the 1950s, the whole area around Uyuni, in the arid southern Altiplano, was covered in natural vegetation. 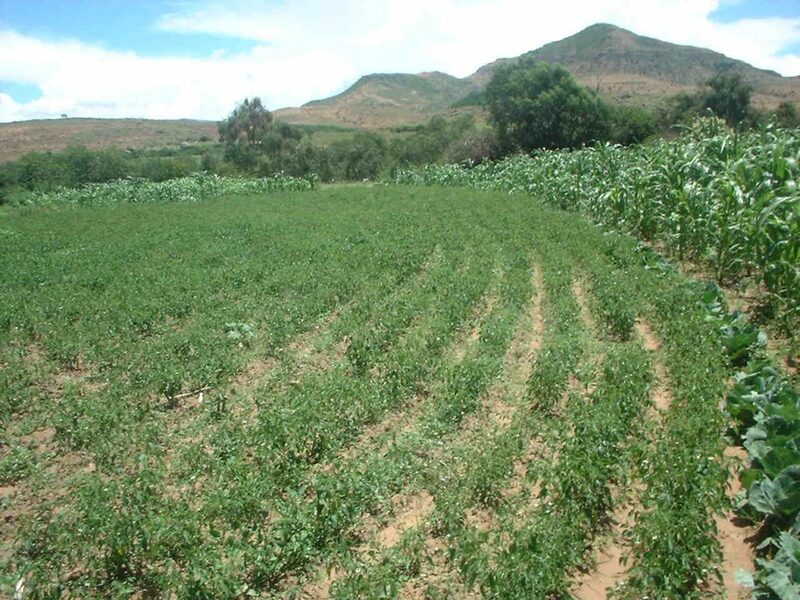 People grew small plots of quinoa on the low hills, among native shrubs and other plants. Quinoa was just about the only crop that would survive the dry climate at some 3,600 meters above sea level. The llamas roamed the flat lands, growing fat on the native brush. 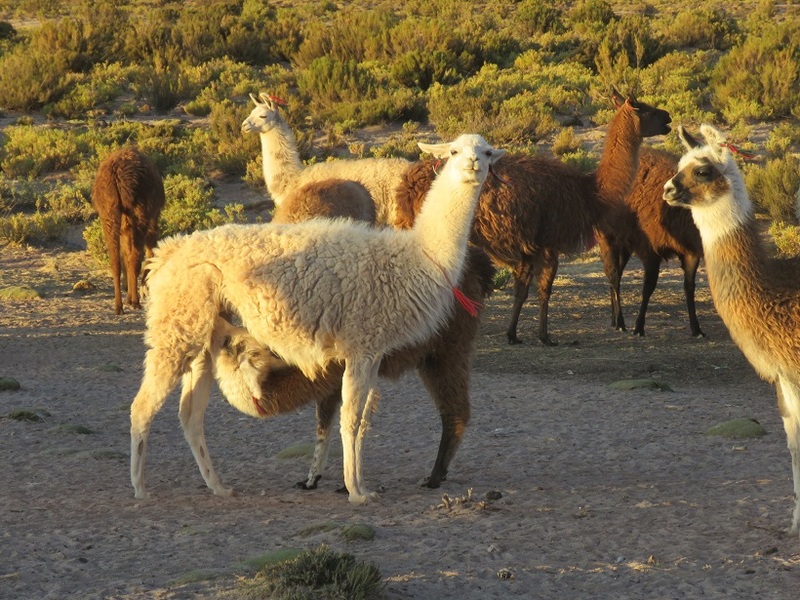 In April the owners would pack the llamas with salt blocks cut from the Uyuni Salt Flats (the largest dry salt bed in the world) and take the herds to Cochabamba and other lower valleys, to barter salt for maize and other foods that can’t be grown on the high plains. The llama herders would trade for potatoes and chuño from other farmers, supplementing their diet of dried llama meat and quinoa grain. 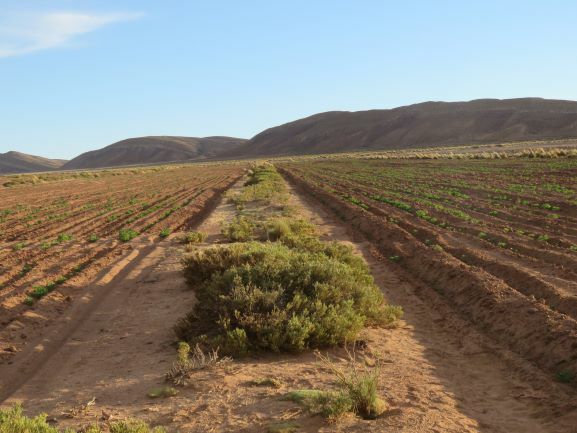 Then in the early 1970s a Belgian project near Uyuni introduced tractors to farmers and began experimenting with quinoa planted in the sandy plains. About this same time, a large-scale farmer further north in Salinas also bought a tractor and began clearing scrub lands to plant quinoa. More and more people started to grow quinoa. The crop thrived on the sandy plains, but as the native brushy vegetation grew scarce so the numbers of llamas began to decline. Throughout the early 2000s the price of quinoa increased steadily. 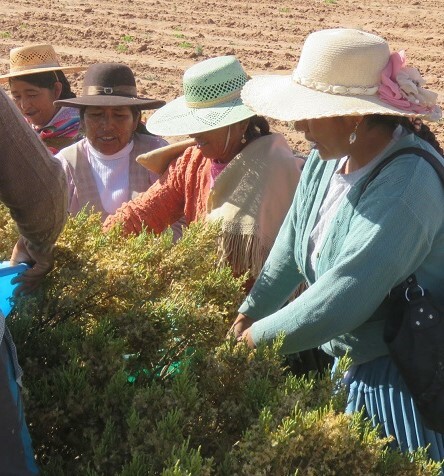 When it reached 2500 Bolivianos for 100 pounds ($8 per kilo) in 2013, many people who had land rights in this high rangeland (the children and grandchildren of elderly farmers) migrated back—or commuted—to the Uyuni area to grow quinoa. Genaro told us that each person would plow up to 10 hectares or so of the scrub land to plant the now valuable crop. But by 2014 the quinoa price slipped and by 2015 it crashed to about 350 Bolivianos per hundredweight ($1 per kilo), as farmers in the USA and elsewhere began to grow quinoa themselves. 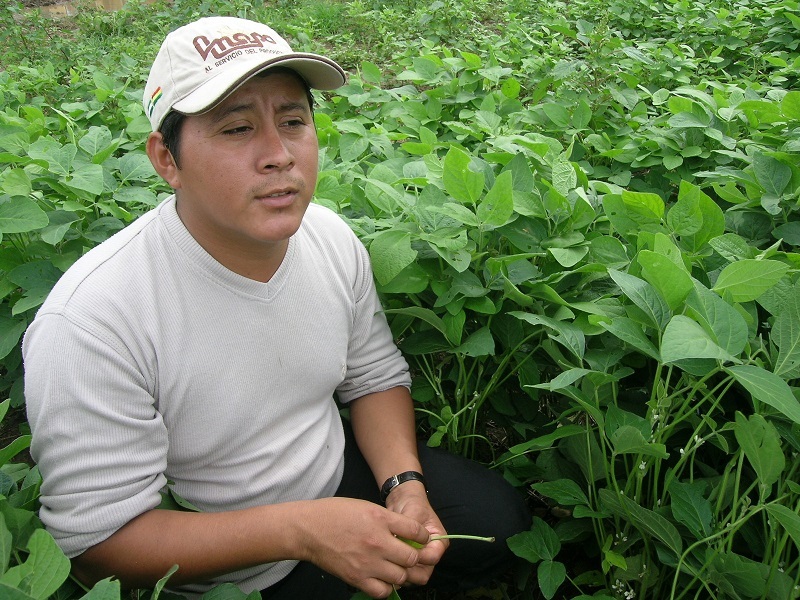 Many Bolivians gave up quinoa farming and went back to the cities. By then the land was so degraded it was difficult to see how it could recover. Still, Genaro is optimistic. He believes that quinoa can be grown sustainably if people grow less of it and use cover crops and crop rotation. That will take some research. Not much else besides quinoa can be farmed at this altitude, with only 150 mm (6 inches) of rain per year. Milton Villca took us out to see some of the devastated farmland around Uyuni. It was worse than I ever imagined. 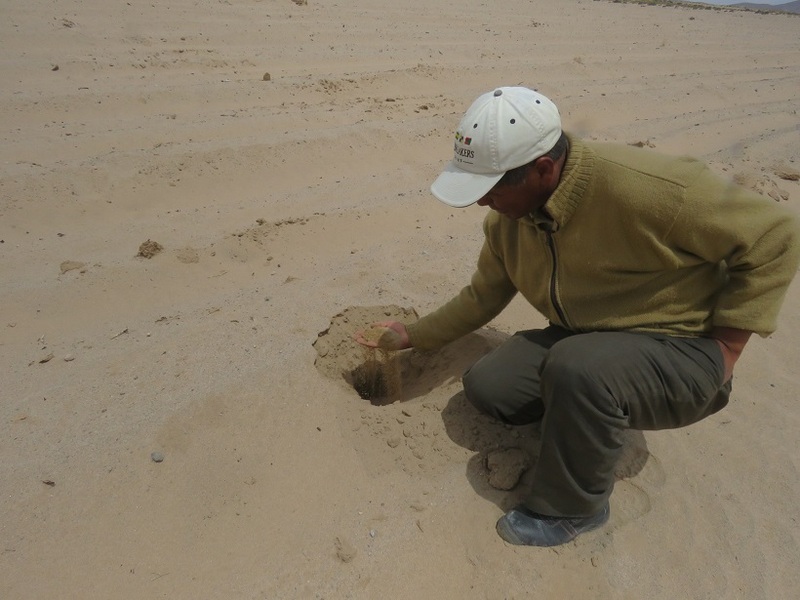 On some abandoned fields, native vegetation was slowly coming back, but many of the plots that had been planted in quinoa looked like a moonscape, or like a white sand beach, minus the ocean. Farmers would plow and furrow the land with tractors, only to have the fierce winds blow sand over the emerging quinoa plants, smothering them to death. Milton took us to see one of the few remaining stands of native vegetation. Not coincidentally, this was near the hamlet of Lequepata where some people still herd llamas. Llama herding is still the best way of using this land without destroying it. Milton showed us how to gather wild seed of the khiruta plant; each bush releases clouds of dust-like seeds, scattered and planted by the wind. 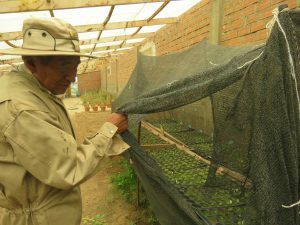 Milton and Genaro are teaching villagers to collect these seeds and replant, and to establish windbreaks around their fields, in an effort to stem soil erosion. I’ve met many agronomists in my days, but few who I thought were doing such important work, struggling to save an entire landscape from destruction. Genaro Aroni and Milton Villca work for the Proinpa Foundation. Their work is funded in part by the Collaborative Crop Research Program of the McKnight Foundation. El ingeniero agrónomo boliviano Genaro Aroni me contó por primera vez cómo la quinua estaba destruyendo los suelos del suroeste boliviano hace unos 10 años, cuando vino a Cochabamba para una clase de redacción que yo enseñaba. Desde aquel entonces quise ver por mí mismo cómo el afán por un sano grano andino podría comer el paisaje de su país natal. Recientemente tuve mi oportunidad, cuando Paul, Marcella y yo hacíamos videos para Agro-Insight. Junto con Milton Villca, un agrónomo de Proinpa, conocimos a Genaro en Uyuni, cerca de las famosas salinas de Bolivia. Genaro, que está a punto de cumplir 70 años, pero parece que tiene 55, nos dijo que había trabajado con la quinua durante 41 años, y que había sido testigo del cambio dramático de un alimento básico local y menospreciado a un renombrado alimento mundial. Empezó a explicar lo que había pasado. Cuando Genaro era un niño en la década de 1950, toda el área alrededor de Uyuni, en el árido sur del Altiplano, estaba cubierta de vegetación natural. La gente cultivaba pequeñas parcelas de quinua en los cerros bajos, entre arbustos nativos (t’olas) y la paja brava. La quinua era casi el único cultivo que sobreviviría al clima seco a unos 3.600 metros sobre el nivel del mar. Las llamas deambulaban por las llanuras, engordándose en el matorral nativo. En abril los llameros empacaban los animales con bloques de sal cortados del Salar de Uyuni (el más grande del mundo) y los llevaban en tropas a Cochabamba y otros valles más bajos, para trocar sal por maíz y otros alimentos que no se pueden cultivar en las altas llanuras. Los llameros intercambiaban papas y chuño de otros agricultores, complementando su dieta con carne de llama seca y granos de quinua. Luego, a principios de la década de 1970, un proyecto belga cerca de Uyuni introdujo tractores a los agricultores y comenzó a experimentar con quinua sembrada en las pampas arenosas. Por esa misma época, un agricultor a gran escala más al norte, en Salinas, también compró un tractor y comenzó a talar los matorrales para sembrar quinua. Cada vez más gente empezó a cultivar quinua. El cultivo prosperó en las llanuras arenosas, pero a medida que la vegetación nativa de arbustos se hizo escasa, había cada vez menos llamas. A lo largo de los primeros años de la década de 2000, el precio de la quinua aumentó constantemente. Cuando llegó a 2500 bolivianos por 100 libras ($8 por kilo) en 2013, muchas personas que tenían derechos sobre la tierra en esta pampa alta (los hijos y nietos de los agricultores viejos) retornaron a la zona de Uyuni para cultivar quinua. Genaro nos dijo que cada persona araba hasta 10 hectáreas de t’ola para plantar el ahora valioso cultivo. Pero para el 2014 el precio de la quinua comenzó a bajar y para el 2015 se colapsó a cerca de 350 bolivianos por quintal ($1 por kilo), a medida que los agricultores en los Estados Unidos y en otros lugares comenzaron a cultivar quinua ellos mismos. Muchos bolivianos dejaron de cultivar quinua y regresaron a las ciudades. Para entonces la tierra estaba tan degradada que era difícil ver cómo podría recuperarse. Sin embargo, Genaro es optimista. Él cree que la quinua puede ser cultivada de manera sostenible si la gente la cultiva menos y usa cultivos de cobertura y rotación de cultivos. Eso requerirá investigación. No se puede cultivar mucho más que además de la quinua a esta altitud, con sólo 150 mm de lluvia al año. Milton Villca nos llevó a ver algunas de las parcelas devastadas alrededor de Uyuni. Fue peor de lo que jamás imaginé. 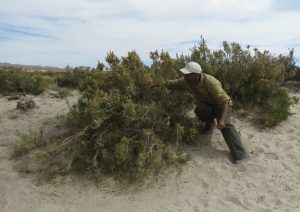 En algunas parcelas abandonados, la vegetación nativa regresaba lentamente, pero muchas de las chacras que habían sido sembradas en quinua parecían la luna, o una playa de arena blanca, menos el mar. Los agricultores araban y surcaban la tierra con tractores, sólo para que los fuertes vientos soplaran arena sobre las plantas emergentes de quinua, ahogándolas y matándolas. Milton nos llevó a ver uno de los pocos manchones de vegetación nativa que queda. No por casualidad, esto estaba cerca de una pequeña comunidad de llameros, que queda en Lequepata. El pastoreo de llamas sigue siendo la mejor manera de usar esta tierra sin destruirla. Milton nos mostró cómo recolectar semillas silvestres de la planta khiruta; cada arbusto libera nubes de semillas parecidas al polvo, dispersas y sembradas por el viento. Los Ings. Milton y Genaro están enseñando a los comuneros a recolectar estas semillas y replantar, y a establecer barreras contra el viento alrededor de sus campos, en un esfuerzo por detener la erosión del suelo. He conocido a muchos agrónomos a través de los años, pero pocos que en mi opinión hacían un trabajo tan importante en comunidades remotas, luchando para salvar un paisaje entero de la destrucción. Genaro Aroni y Milton Villca trabajan para la Fundación Proinpa. Su trabajo es auspiciado en parte por el Programa Colaborativo de Investigación de Cultivos de la Fundación McKnight. 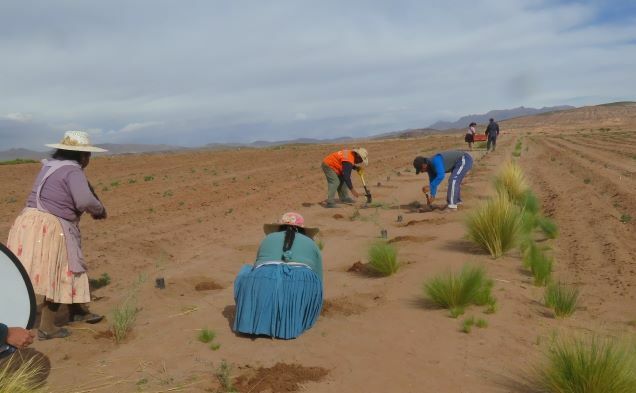 In much of the Bolivian Altiplano, the native vegetation has been largely stripped away. A few people are doing something to replant the vegetation, but it is surprisingly difficult to germinate the seeds of native plants. 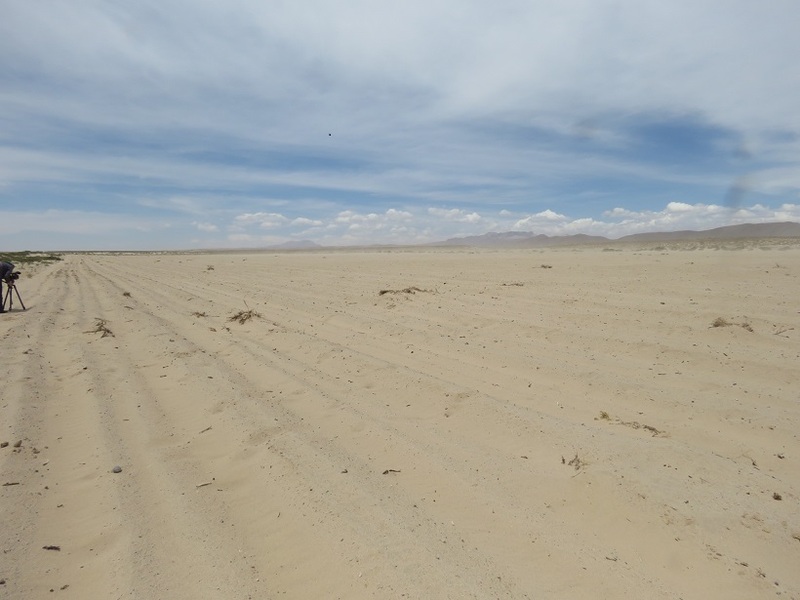 These Andean high plains were once covered by scrub land, comprising low-lying bushes, needle grasses and other hardy plants well adapted to the harsh conditions. Llamas foraged on this waist-high forest without damaging it. But as more land was plowed up for quinoa, and more of the bushes were cut for firewood, the native vegetation started to vanish. Rural families in this part of Bolivia used to make long, narrow stacks of dried brush. But the bushes are now mostly gone, and so are the stacks of firewood. Fortunately, explains plant researcher, Dr. Alejandro Bonifacio, people are now cooking with bottled natural gas, so they don’t need to uproot brush for firewood, but this respite has come too late. In many places, the deforestation has been so complete that there are no seed-bearing plants left to provide for natural regeneration. 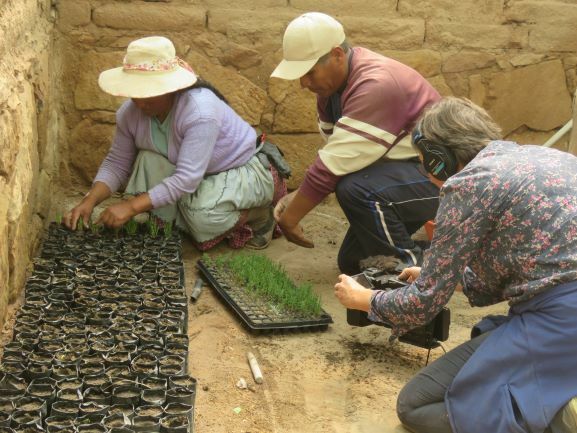 So, Dr. Bonifacio and his team travel around the Altiplano, collecting seed of different shrubs, planting the seed in nurseries and then taking the seedlings to sympathetic farmers who are interested in restoring the dry plains. Seeds of wild plants will seldom germinate if simply scattered on the ground. The plants are adapted to harsh environments, and the seed enters dormancy, only to be awakened by the kiss of some specific environmental signal. Bonifacio and his students study each plant to determine what will break its dormancy. For example, the k’awchi, a small woody plant, is so adapted to this land of high winds and rocky soil that its tiny seed must be tumbled over the rough ground and “scarified” before it will germinate. Bonifacio and his team have also learned that it can be scarified by rubbing it in sand or by putting it in a weak solution of sodium hypoclorite for 20 minutes. On the arid Altiplano, much of the native vegetation is cactus, some of it bearing delicious fruit. In a boutique restaurant in the big city of La Paz, Bonifacio was shocked to that the chef was asking for a supply of one native cactus, called achakana. 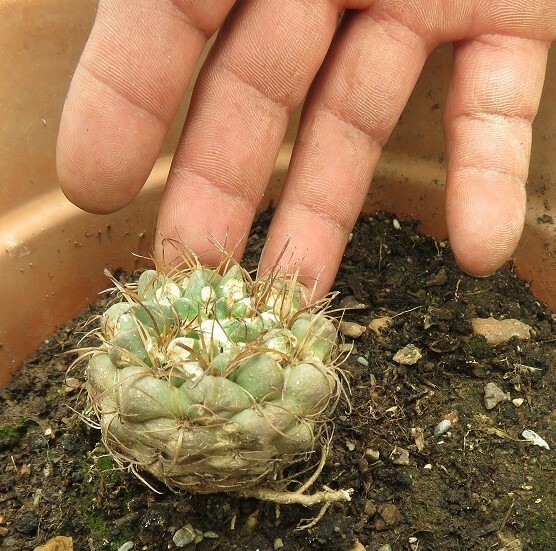 Yes, achakana is edible, but it takes many years to grow to the size of a tennis ball. The Aymara people used to eat the cactus as famine food when the crops failed, but achakana could be driven to extinction if it starts to be served up in the fashionable eateries of La Paz. So, Bonifacio taught himself how to propagate it. It was tricky. At first, the seed failed to germinate. Bonifacio learnt that as the fruit matures the seed goes into a deep dormancy. Then one day by serendipity Bonifacio discovered a little bag of fruit had had been harvested green and then forgotten. When he opened the rotting fruit, he found that all of the seeds were germinating. He proudly showed me a small, three-year old plant that he had grown from seed. The pasak’ana is another endangered cactus that grows so tall that the Andean people once used its ribs to roof their houses. The fruit is also delicious, yet getting the seed to germinate was impossible. Then Bonifacio found that the pasak’ana seed would germinate if it was taken from immature fruit. With the help of a student he now has 1200 little pasak’ana plants, all in demand from a municipal government in Oruro which wants to plant them out. More people than ever want to grow native plants for fruit, fodder and soil conservation, but each species has its own unique requirements for coming to life. Fortunately, there are patient researchers working to unlock these mysteries and come up with practical recommendations that can help restore degraded lands. 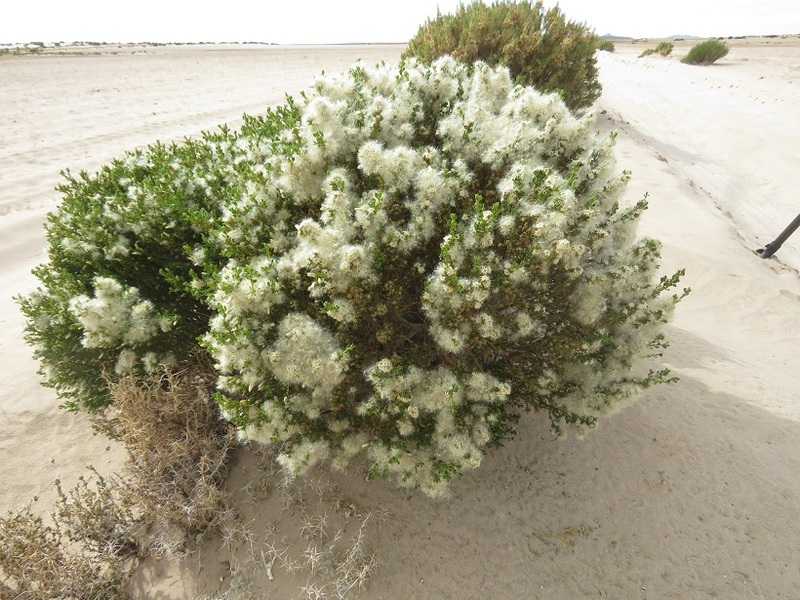 The k’awchi is Suaeda foliosa, belonging to the unfortunately named “seepweed” genus. The achakana is Neowerdemannia vorwerckii. En gran parte del Altiplano Boliviano, la vegetación nativa ha sido arrancada. Hay personas que se dedican a replantar la vegetación, pero es sorprendentemente difícil germinar las semillas de plantas nativas. Estos altiplanos andinos estaban cubiertos de t’olares (matorrales), que incluían arbustos bajos, paja brava y otras plantas fuertes y bien adaptadas a las duras condiciones. Las llamas se forrajeaban en este bosque enano sin dañarlo. Pero a medida que más tierra fue arada para la quinua, y más arbustos fueron cortados para leña, la vegetación nativa comenzó a desaparecer. Las familias rurales de esta parte de Bolivia solían amontonar las t’olas, o arbustos, en forma de cercos largos y delgados, para leña. Pero la mayoría de los arbustos han desaparecido, así como los montones de leña. Afortunadamente, explica el investigador de plantas, el Dr. Alejandro Bonifacio, la gente ahora cocina con gas natural en garrafa, así que no necesitan arrancar las t’olas para leña, pero este respiro ha llegado muy tarde. En muchos lugares, la deforestación ha sido tan completa que ya no quedan plantas madres para la regeneración natural. Así, el Dr. Bonifacio y su equipo viajan por el Altiplano, recolectando semillas de diferentes arbustos, sembrando las semillas en viveros y luego llevando los plantines a agricultores que simpatizan con la revegetación de las pampas secas. Las semillas de las plantas silvestres rara vez germinan si simplemente se echan al suelo. Las plantas se adaptan a ambientes hostiles, y la semilla entra en dormancia, sólo para ser despertada por el beso de alguna señal ambiental específica. Bonifacio y sus alumnos estudian cada planta para determinar qué romperá su dormancia. Por ejemplo, el k’awchi, una pequeña planta leñosa, está tan adaptado a esta tierra de vientos fuertes y suelo pedregosa que su pequeña semilla tiene que caer sobre el suelo áspero y “escarificarse” para poder germinar. Bonifacio y su equipo también han aprendido que una alternativa frotarlo en arena o dejar la semilla por 20 minutos en una solución débil de hipoclorito de sodio. En el árido Altiplano, gran parte de la vegetación nativa es de cactus, algunos de los cuales producen ricos frutos. En un restaurante boutique en la gran ciudad de La Paz, Bonifacio se sorprendió al ver un cactus nativo, llamado achakana, solicitado para el menú. La achakana sí es comestible, pero tarda muchos años para alcanzar el tamaño de una pelota de tenis. Los aymaras solían comer el cactus como alimento en tiempos de hambre cuando las cosechas fallaban, pero la achakana podría llegar a la extinción si empiezan a ser servirla en los restaurantes de moda de La Paz. Así que Bonifacio se enseñó a sí mismo a propagarlo. Fue difícil. Al principio, la semilla no pudo germinar. Bonifacio aprendió que a medida que el fruto madura, la semilla entra en una profunda dormancia. Un día, por casualidad, Bonifacio descubrió que una bolsita de fruta había sido cosechada verde y luego olvidada. Cuando abrió el fruto podrido, descubrió que todas las semillas estaban germinándose. Con orgullo me mostró una pequeña planta de tres años que él había cultivado a partir de una semilla. El pasak’ana es otro cactus en peligro de extinción que crece tan alto que los andinos usaban sus palos para techar sus casas. La fruta también es deliciosa, sin embargo, hacer que la semilla germine era imposible. Entonces Bonifacio descubrió que la semilla de pasak’ana germinaría si se tomaba de un fruto inmaduro. Con la ayuda de un estudiante, ahora tiene 1200 pequeñas plantas de pasak’ana, todas solicitadas por un gobierno municipal de Oruro que quiere plantarlas. Hoy en día mucha gente quiere cultivar plantas nativas para la conservación de la fruta, el forraje y el suelo, pero cada especie tiene sus propias necesidades únicas para volver a la vida. Afortunadamente, hay pacientes investigadores que trabajan para desvelar estos misterios y presentar recomendaciones prácticas que pueden ayudar a restaurar las tierras degradadas. El k’awchi is Suaeda foliosa. La achakana es Neowerdemannia vorwerckii.